McLuhan House - 11342 64th St.
New Music Edmonton and McLuhan House/ ArtsHab Edmonton came together in 2017-18 to initiate Sonic Play School, a series of public events featuring hands-on workshops and mentor-led discussions targeted to any skill level. We ask no experience of participants, just a willingness to come along and be part of a fun group that’s looking to use sound creatively. Above all this is a chance to be part of a fun community and to participate in music-making in an informal, non-judgemental atmosphere. We have already introduced an excellent array of DIY music techniques giving participants an experience in making music from scratch. These have included Deep Listening techniques, an introduction to vocal improvisation, and performing with found instruments and homemade percussion. 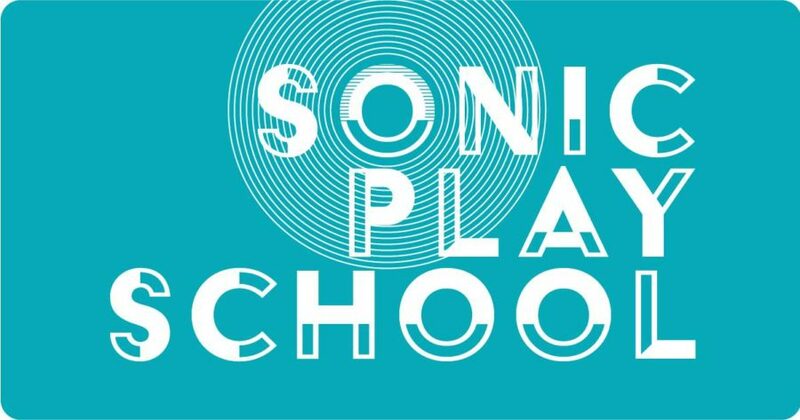 Join New Music Edmonton Artistic Director Ian Crutchley for the first Sonic Play School of the season, Play Along. This creative, relaxed and fun look at the various ways people like to join in when music is playing. Everyone has their own play-along technique: clapping hands and snapping fingers at concerts, singing along to the songs in musicals and the ill-advised practice of clacking your teeth in imitation of your favourite rock drummer (just don’t!). This session will take it a step further and as a group, we’ll listen to some music and add new parts of our own. No experience or musical skill required – just bring yourself, a noisemaker or two and the desire to have fun. We’ll have access to a music streaming service, so there will be lots to choose from. This session will begin with some peaceful, meditative sonic exercises involving listening and making sounds in the beautiful surrounds of McLuhan House. In this safe and inviting session of Sonic Play School we will find comfortable ways to enjoy synchronizing our bodies with sounds and music. This is not a dance class but rather an introduction to the concepts and practices of sound and movement. Kate Stashko will lead us at finding our way of expressing ourselves by moving to sound. Her vast experience in various forms of dance will make for a fun evening. Kate Stashko is performer, choreographer, dance educator and writer based in Edmonton and a core member of Good Women Dance Collective. All are welcome to participate and no previous experience is required. Bring your love of music, a willingness to expand your knowledge, and your ability to laugh. This is a great chance to be part of a community of discussion, listening to records, watching films, and above all, making music in an informal, non-judgemental atmosphere. We ask that you pay what you can.